The last time we checked in on FNB Tower, the crane had just showed up and things were getting started. 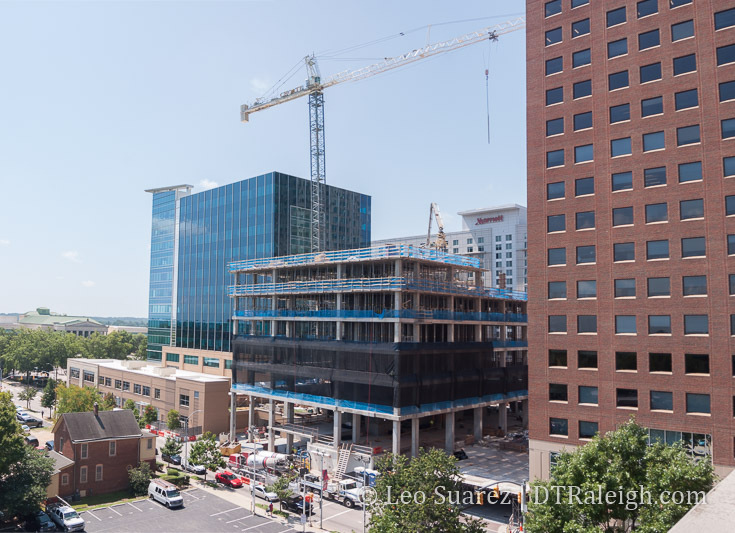 Now, almost three months later it looks like the tower is making some real upward momentum with a floor being produced almost once per two weeks. Next, we’ll have to take a look at how City Plaza looks and feels with all the properties around it being filled in. 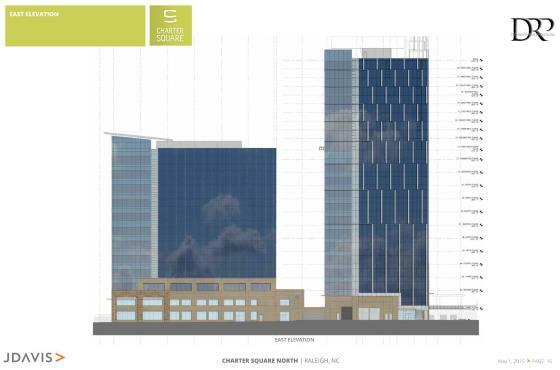 It’s exciting to see what will be Raleigh’s fourth tallest tower take shape. 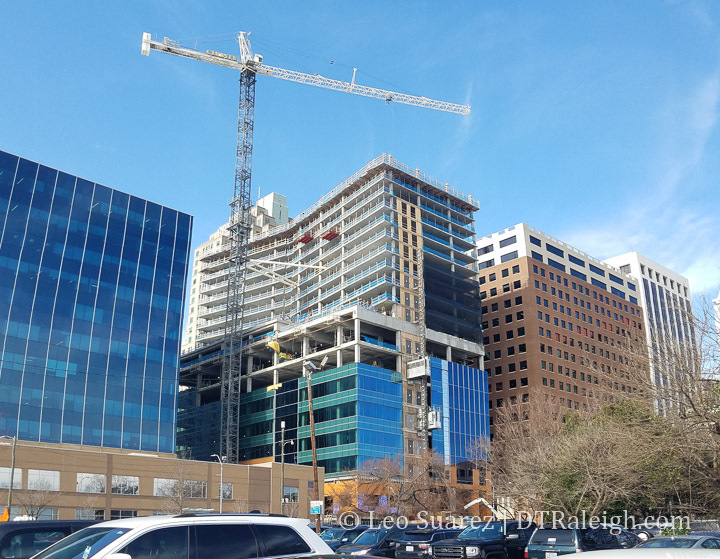 For more frequent updates, the community is all over FNB Tower sharing photos from all different angles. Join us! In case you missed it, FNB Tower is officially under construction. The tower crane has shown up at the site and crews have been pounding away. 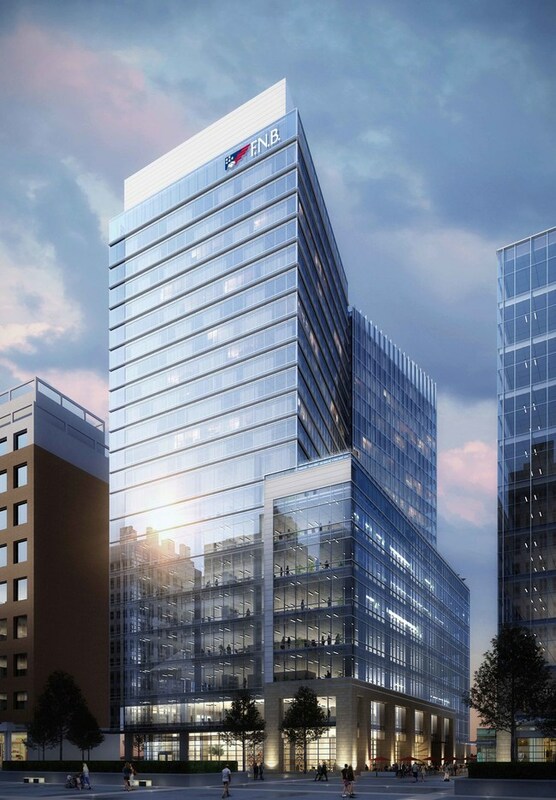 Over on Vimeo, there is a new video showing renderings of FNB Tower. This video is pretty cool and I can’t wait to see work start on this project. This will make a dramatic change to City Plaza when finished. 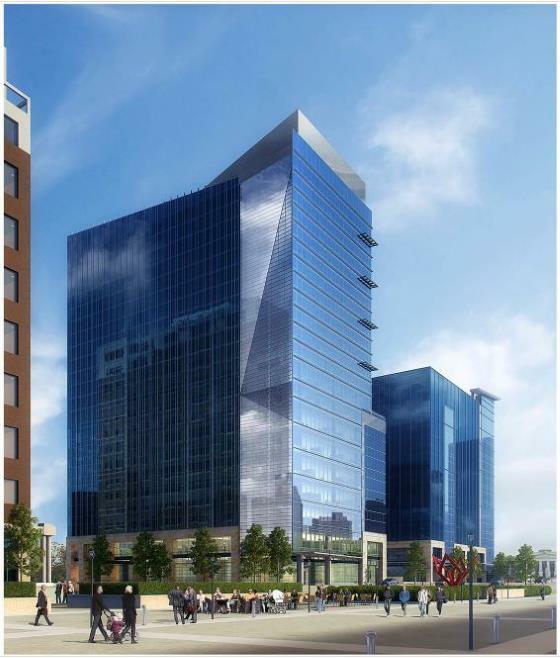 Announced on Tuesday May 23, First National Bank will be the anchor tenant of FNB Tower, the former Charter Square north project that we have been tracking here on the blog. Jump straight to the press release for full details. 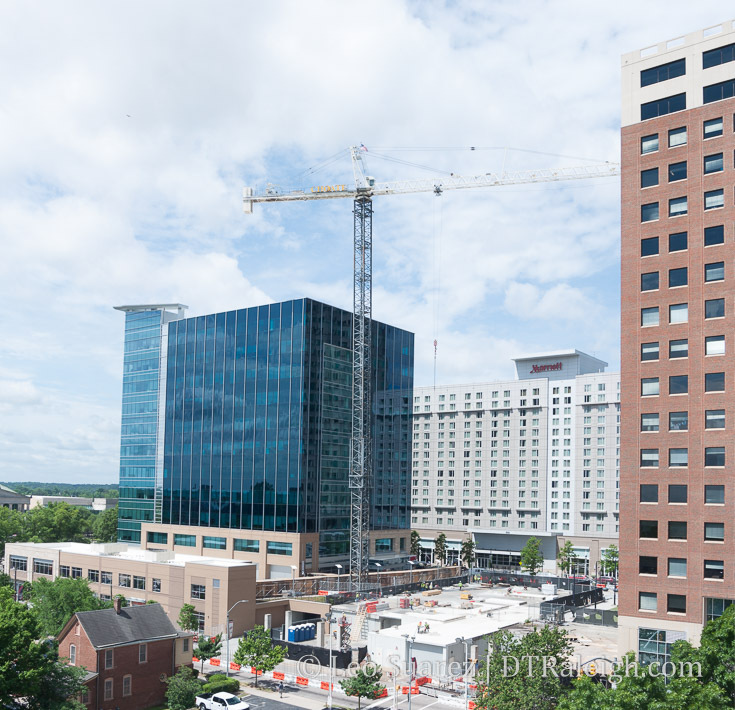 The Charter Square projects have gone through numerous changes but this feels like a solid enough update to instill confidence in seeing a crane set up on that site later this year. This will be a good one to watch as this view from will drastically change. City Plaza is going to be one heck of an urban space in a few years! Click for larger, wider view. More matching the already built south tower, the Raleigh appearance commission will be reviewing the latest renderings of the Charter Square north tower with this rendering above. 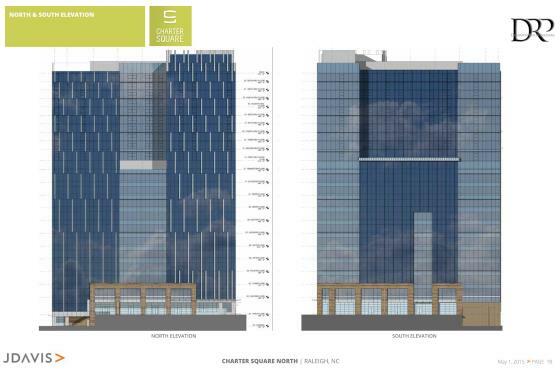 The 23-story, mixed-use tower has been in the planning stages for quite a few years so could this finally be the final design? Should make for a great project though. Last week’s Raleigh Appearance Commission meeting contained a site plan review for the north tower of Charter Square. 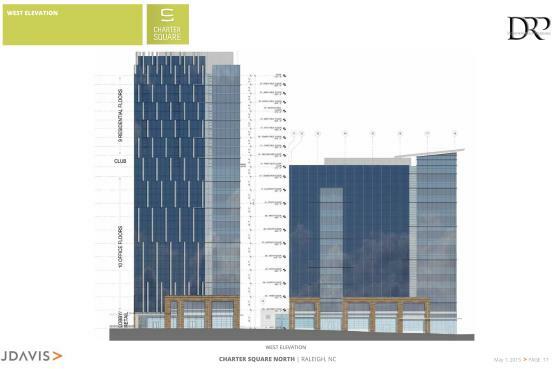 Included in the agenda are some renderings that I wanted to post here. 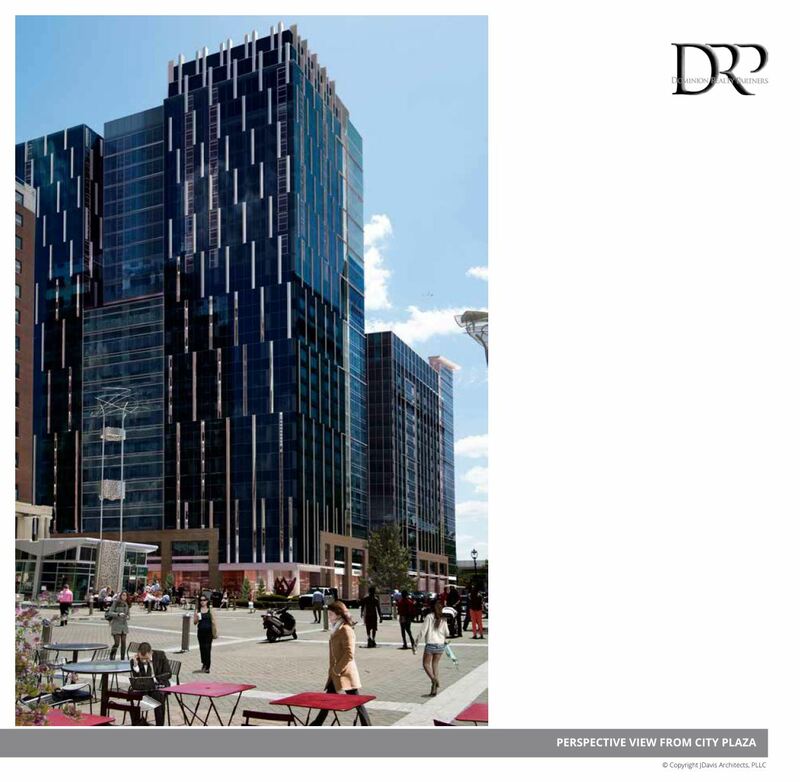 You can also watch the presentation from the architects that took place at the commission meeting. 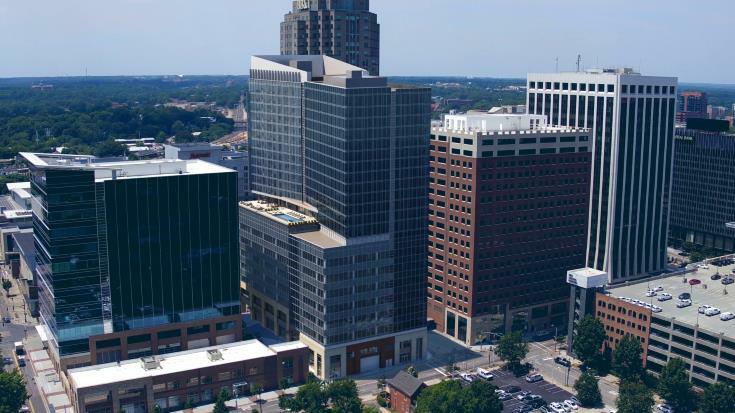 The plaza to the north will remain to offer some connectivity between Fayetteville Street and Wilmington Street. It’s also interesting to note that this building is the tallest that can be at this site. 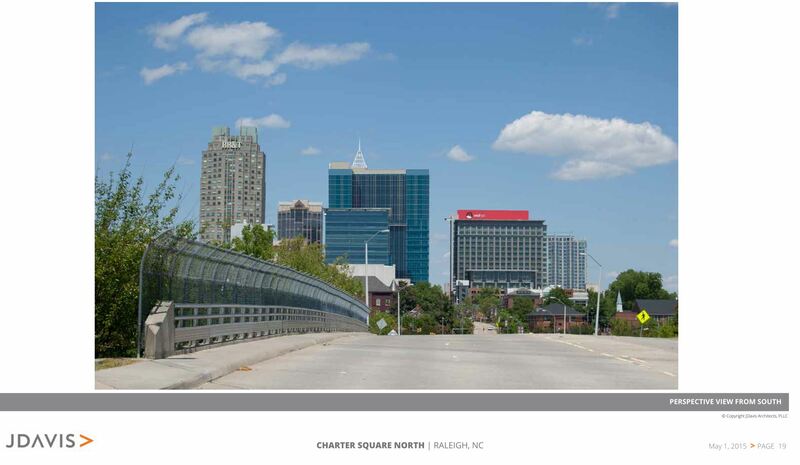 Due to the underground parking deck that exists there today, Charter Square North cannot be any taller. If the embedded video doesn’t show for you, click here. Discussion starts at 18:00. 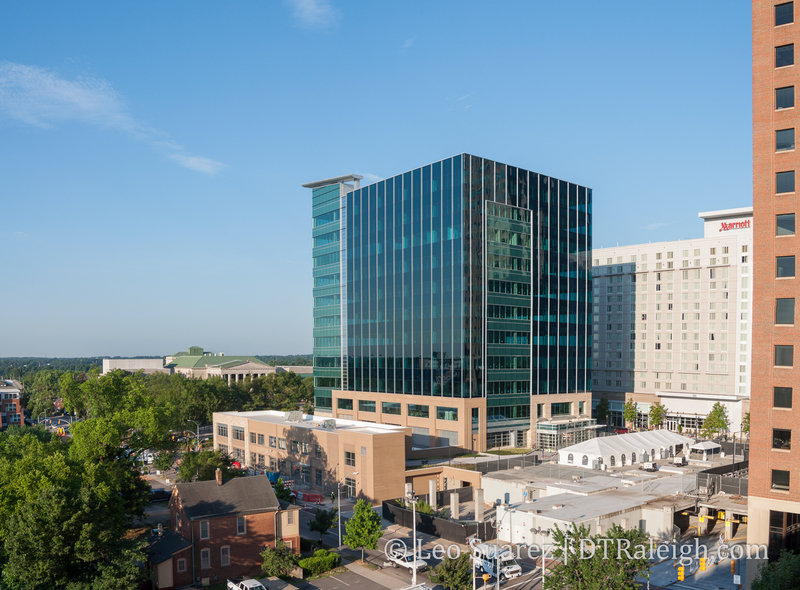 The latest addition to the Raleigh skyline, Charter Square, officially opens this week. 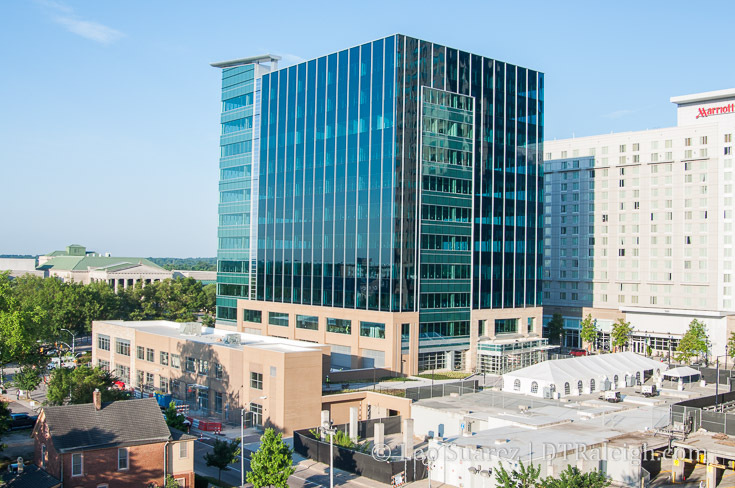 Located at the south end of Fayetteville Street, one of the most prominent addresses in Wake County, Charter Square is welcoming its new tenants to the building with an official grand opening celebration. 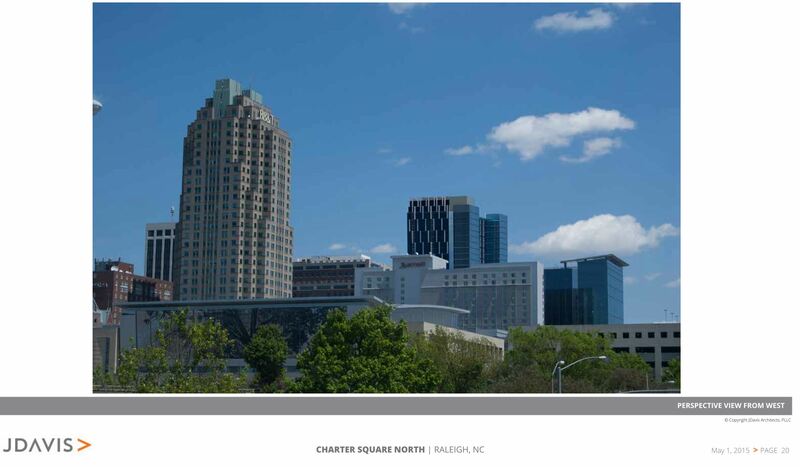 Eleven stories of stunning Class-A office designed for Platinum LEED certification, Charter Square towers above a sophisticated mix of premier retail, restaurants and metropolitan nightlife in the heart of a downtown district shining with a vibrancy. There are still some construction fencing and barrels along Wilmington and Lenoir Streets as part of the final cleanup. The Lenoir Street closing notice isn’t on the city’s website anymore so hopefully the street will be open again soon too.